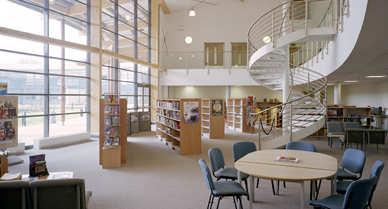 Hadley Learning Community School in Telford, Shropshire is an early example of a school built under BB93. Initial design schemes of the school incorporated all levels of preschool, primary school and secondary school in separate buildings in a campus type layout. 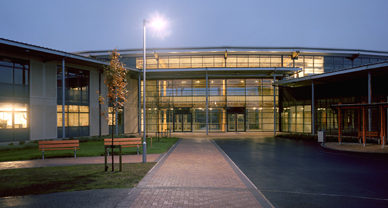 It was these initial design schemes that enabled Telford Council to identify what they didn’t want: a campus. On that basis, the final ring-shaped design of the Learning Community was developed. 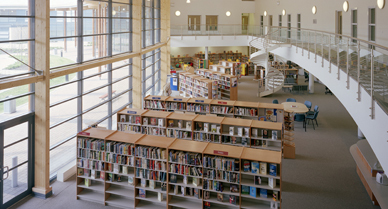 The developed design incorporated all levels of learning, from pre-school through to secondary school and adult education in one building, with wings extending out from the central rotunda. 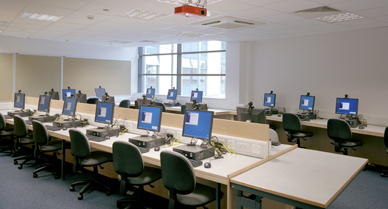 Providing guidance on the sound insulation of walls and floors. Carried out final acoustic testing to demonstrate compliance with BB93. The acoustics of the large communal areas needed careful consideration. So too did the naturally ventilated classrooms which used passive cooling from exposed concrete slabs and heightened the noise intrusion from the adjacent railway. Noise intrusion from the railway next to the site had to be minimised. Installing an acoustic noise barrier alongside the railway. 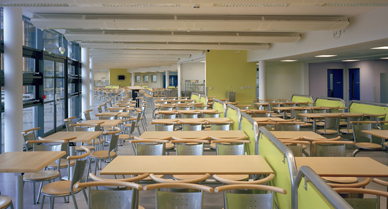 Do you have a similar acoustics requirement for your school project?